Albuquerque's craft beer scene continues to grow, with several new breweries opening their doors in recent days. Local beer fans know they have a variety of places to head to when they feel a thirst coming on, from the venerable long time brewers such as Il Vicino and Marble Brewery, and the newer crafters such as Red Door. Now, in addition to having a vibrant brew scene, the city has its very own official Brewery District. Though there are breweries at various parts of the city, the Brewery District has a concentration of them. The district is in an industrial part of the city that lent itself to manufacturing. Now it's home to a number of craft brewers and the city's first distillery, Left Hand Brewing. The area is bounded by Jefferson to the north, Candelaria to the south, the I-25 frontage road to the west and the North Diversion channel to the east. The district is home to La Cumbre Brewery, Canteen Brewhouse (formerly Il Vicino), and Left Turn Distilling. Though not officially in the district, nearby Nexus Brewery is close enough to be a neighbor. Before being given the name of the Brewery District, the area had no particular name. 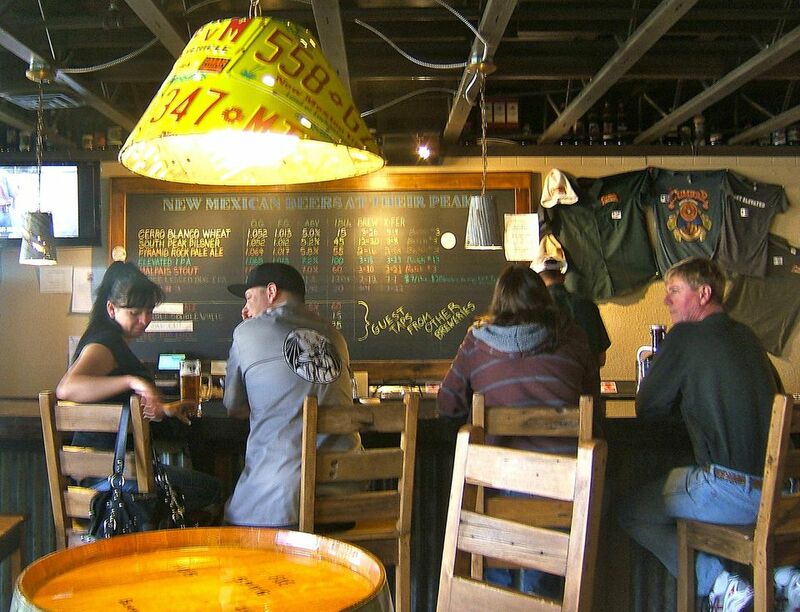 Now it's official, as the New Mexico Legislature approved a Senate memorial that called the area the Brewery District. The memorial was co-sponsored by Sen. Tim Keller, D-Albuquerque, and Sen. Daniel Ivey-Soto, D-Albuquerque. The designation allows the area to brand the old industrial area into a new, lively area that's turning around because of the craft brews made there. Left Hand Distilling opened in the area in 2013, and is the only distillery in the city. Left Turn has a tasting room and a distinctive line of New Mexican spirits that includes gin, vodka, and a blue corn whiskey. The distillery is called Left Turn after the Bugs Bunny running joke of how the rascally rabbit should have made a left turn in Albuquerque. Canteen Brewhouse has been crafting beers since 1994. For over 20 years, they've produced microbrews to go with the Il Vicino menu. They also have a taproom where you can sit with family and friends and enjoy the beer with the food they serve in-house. There's a patio and on some nights, live music. La Cumbre has a down home taproom with some of the city's best tasting beers. Pull up to the bar and order a fresh pint, then try your hand at pool or foosball. Saturday nights you'll find live music that goes perfectly with their seasonal and year-round brews. A variety of food trucks pull up daily to give you a bite to eat. Whether you make an evening of it and find all three, or visit over a period of days, the Brewery District will bring you back for its brand of local flavor.